This cool app gives you tons of fun, odd, weird and awesomely interesting human body facts. 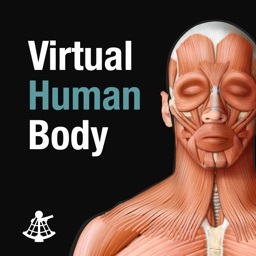 Learn the many wonderful functions and intricate organs of the human body. 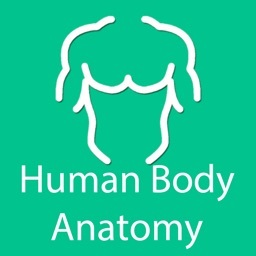 Share these fun and useful tidbits of human anatomy knowledge and trivia with your friends. 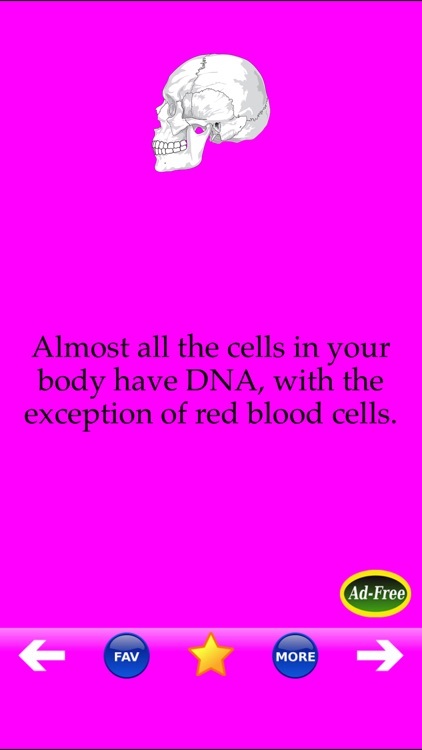 - Save your favorite human body facts! 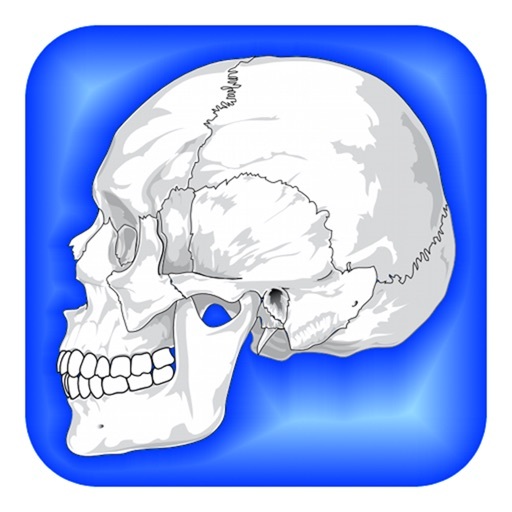 - Share your favorite human body facts via Email! 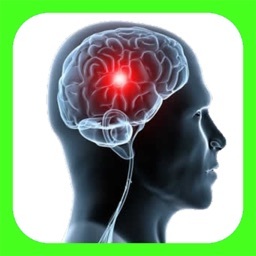 - SMS your favorite human body facts! 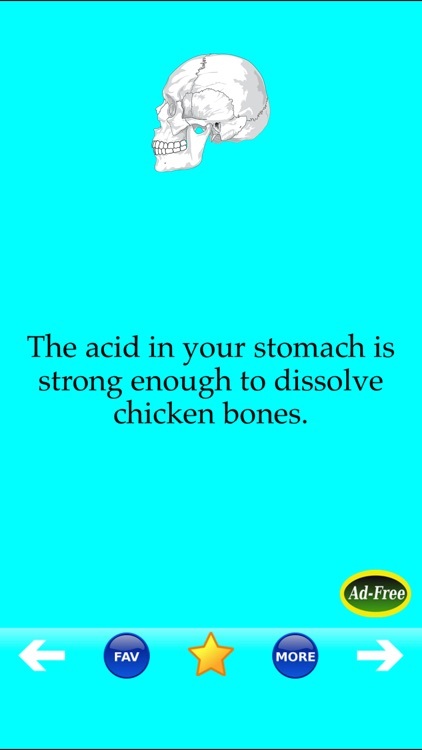 - Post your favorite human body facts directly to Facebook! "Interesting! So many things I didn't know!" "Nice! I love learning about the human body. It's so interesting...I love this app!" 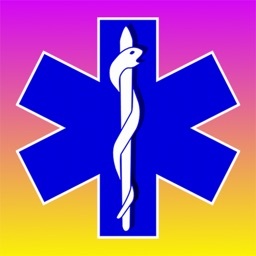 "Cool app! It's pretty cool!" "More! 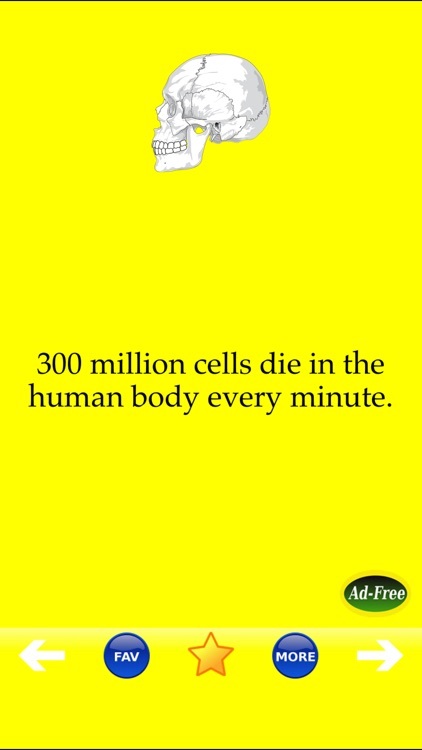 More about human body facts please!"